If youâre looking for a beautifully UPDATED home in a top-rated school district look no further! 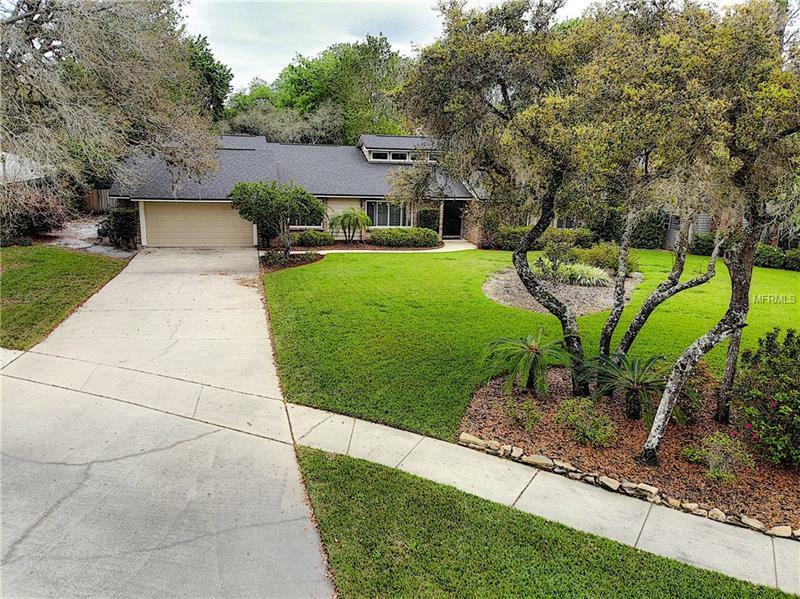 This spacious 5 bedroom 3.5 baths almost 3000 square foot home situated on a cul-de-sac in the highly sought-after Lake Mary. Includes newly installed 2016 roof and hi efficiency Trane A/C 2017 high efficiency Simonton windows 2019 new exterior paint. You will be impressed by the beautifully landscaped lot with in the established Cardinal Oaks neighborhood. Inside you will find high ceilings throughout the living areas the tastefully updated kitchen features beautiful granite countertops custom maple cabinets stainless-steel appliances and separate wine chiller. Prepare gourmet meals as you look out into the cozy family room boasting brick fireplace. The master suite offers ample closet space with a beautifully updated master bath complete with dual sinks walk-in shower and soaking tub. Spacious flex room with adjacent full bath which could be an ideal mother in law/guest suite 5th bedroom or game/play room. Laundry room includes washer/dryer ample counter space and storage for all your laundry needs. Enjoy the afternoon sitting in your covered lanai overlooking the large pool area; perfect area for a relaxing evening or entertaining family and friends. Easy access to great shopping dining & attractions. This will not last long! Open the door to your new home today!